Lovely. You captured her mourning very well. your words perfectly described the pain depicted in the image... well done, sarah! I love when a haiku makes me go back and really look at the prompt again. You saw royalty and satin while I did not; however, it is there when I look with new eyes. 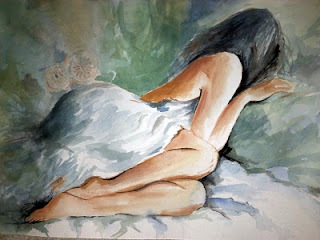 The loss of love we both saw may well reflect on our pasts rather than the painting. 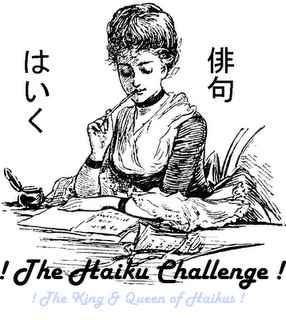 For this haiku, you have an aptly named blog. @ mike - I am so glad that i made u wonder over the image and grasp another new interpretation of the image :) and If u go through my posts, u ll realize that my blog name aptly describes them all..after all emotions can never be missed out :D thnks a lot! jingle - thnks so much! This portrays the feeling of loss with eloquence. nice capture of the theme.. Awesome..